The Guide's Forecast provides timely and accurate fishing information so you can catch more fish! 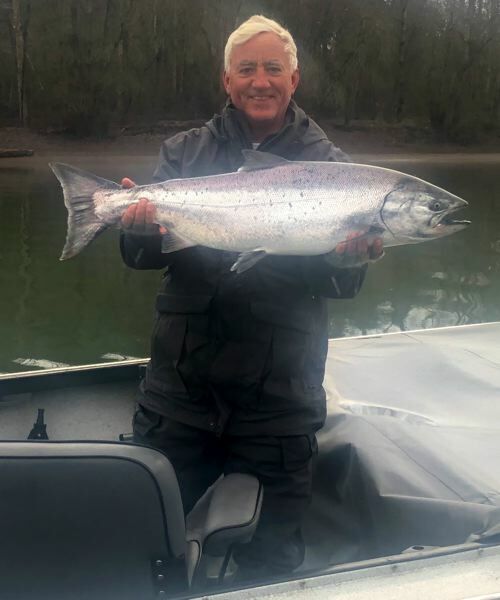 Portland/Metro - The big news for the region is the official first spring Chinook of the season, it was taken by Dave Frey of Lake Oswego, a nice 16-pound hatchery fish in the Milwaukie area on Monday, February 4. The fish took a prawn for bait. February springers are common on the Willamette, but not as common as they were just 2 decades ago. The streamlining of life histories has homogenized year class returns and run timing. Fewer 5-year old fish that averaged over 15 pounds and returned earlier are no longer entering the system, while 4-year old fish dominate the run now, returning later in May and June, often less than 12 pounds in weight. The Willamette looks like it will continue to drop, continuing to provide spring Chinook opportunity in the coming days. Keep in mind that although chances are slim, a February spring Chinook is certainly something to behold. Trolled herring at Sellwood Bridge is a top prospect. Maybe even a bigger draw than Willamette River spring Chinook will be the Pacific Northwest Sportsmen's Show at the Expo Center from February 6 - 10th. There's something there for everyone and I'll be in the KastKing booth if you wish to bring by your fishing stories and photos that may one day grace the pages of this prestigious publication. Meanwhile, back to season appropriate reporting, winter steelheading on the Sandy and Clackamas Rivers remains ho-hum. Water levels are dropping and clearing, making for more challenging fishing. Fish still seem a bit sparse, but action is definitely picking up. With cold temperatures in the forecast, afternoon fishing will be most inspiring and productive in the coming days. The next 3 weeks should be the best on the Sandy, while the Clackamas River peaks a little later into March. The Tillamook Report - Low, clear rivers is making for challenging conditions along the north Oregon Coast. Snowy weather in the pass is also keeping crowds away, but the few stealthy steelheaders are finding fair success under these circumstances. 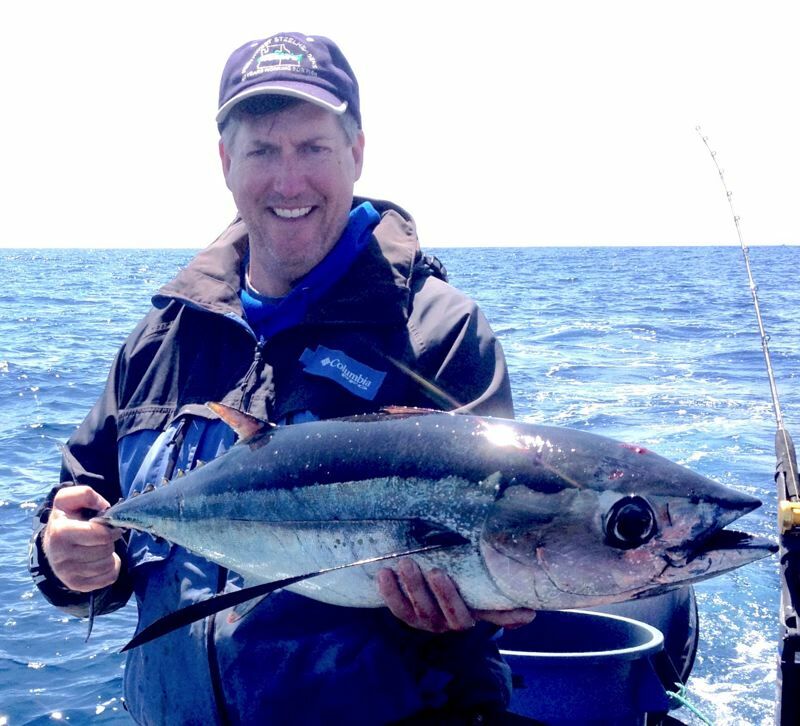 The Wilson booted out a few quality fish for the few that fished it on Monday. More snow and cold weather will likely keep the crowds down, but prepare for challenging conditions and match your strategy as such. Fishing the lower reaches of the north coast streams will offer up the best opportunity for fresh steelhead. On the Wilson, that would be the reach downstream of Sollie Smith Bridge and the Nestucca, downstream of Three Rivers, even tidewater downstream of Cloverdale. Both systems have fair numbers of hatchery fish and wild fish should be making a stronger showing despite low water conditions on the Trask and especially the Nehalem River. Smaller systems like the Kilchis, NF Nehalem and Necanicum Rivers will also produce wild fish in the lower reaches with tidewater offering up the best chance for those that have access. Float subtle baits, jigs and beads under these conditions for your best chance at success. The ocean looks to remain big for the foreseeable future, fresh lingcod, sea bass and Dungeness crab will have to wait. Commercial crabbers are doing best in southern Oregon, the northern ports are producing mediocre results at best, likely to duplicate in the north coast estuaries. Bob Rees is a sixth generation Oregonian and a 20-year veteran fishing guide of Oregon's Northwest region. Bob Rees' column, The Guide's Forecast, has been a trusted fishing resource for over 16 years and will appear in the Thursday edition of the Portland Tribune. He welcomes the opportunity to partner with the Portland Tribune to bring the sport fishing community timely and accurate fishing information so you can catch more fish!